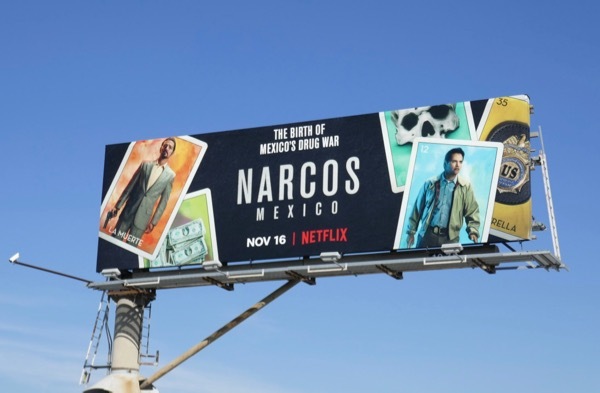 This Thanksgiving if you're looking for some compelling drama to distract you from family squabbles, then maybe you should check out Netflix's new Narcos: Mexico series. 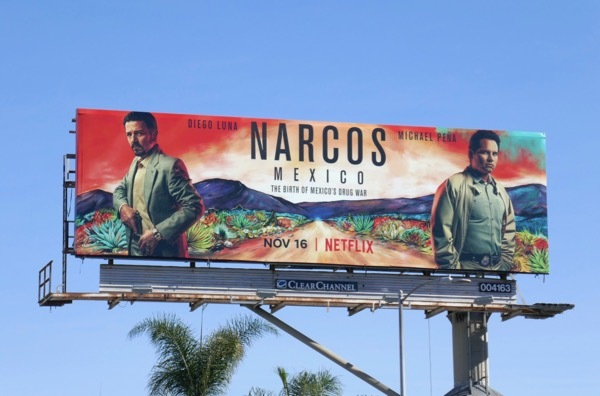 The fourth installment in the streaming giant's Narcos drug cartel drama, this fresh start travels back to 1980s Mexico and sees Guadalajara's drug trafficker 'Felix Gallardo' (played by Diego Luna) pitted against Michael Pena's undercover DEA agent, 'Kiki Camarena'. 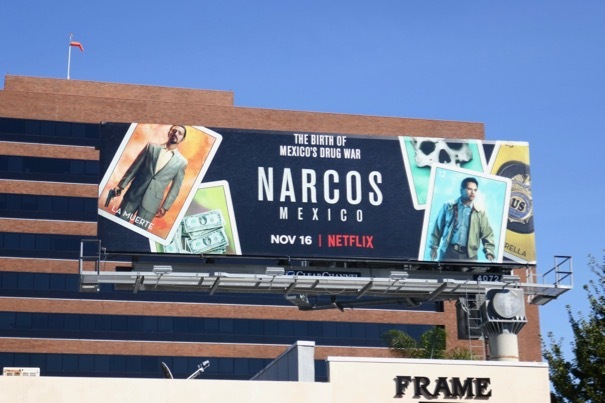 These colourful series launch billboards were photographed along Santa Monica Boulevard, Pico Boulevard and Bundy Drive on November 4, 2018. 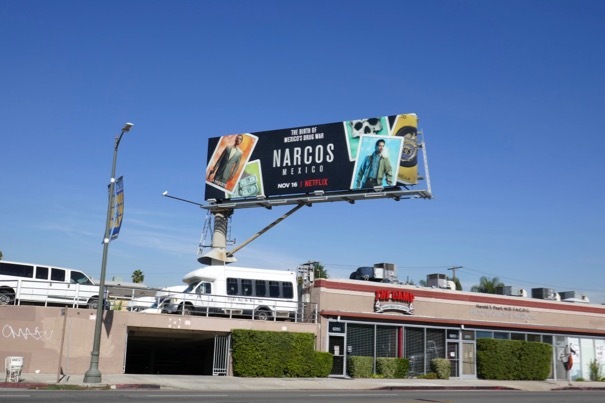 Fans of the original Netflix crime drama can also check out these previous season billboards for Narcos. 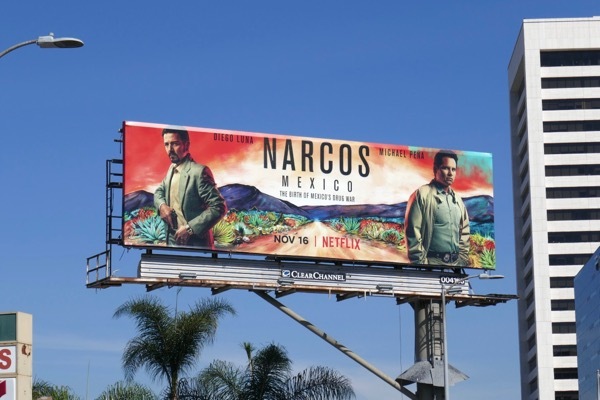 Plus for more Diego Luna check out these Rogue One movie billboards and for more of Michael Peña you can enjoy these End of Watch movie billboards and these CHiPS movie billboards. 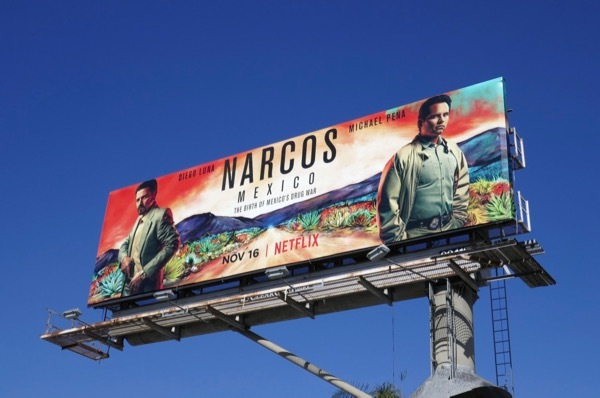 Maybe this gritty rebooted series about the birth of Mexico's drug war will help you realise that spending time with your family and in-laws this holiday season isn't the torture you think it is.